Casino Euro – Daily Deals | Week 11! Claim your daily reward with Daily Bonuses, Free Spins and Tournaments! Monday blues this morning? 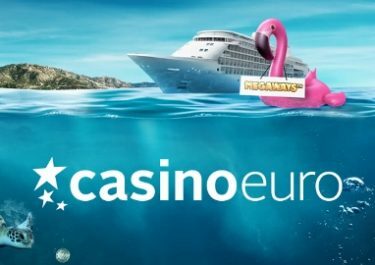 Blow it away and dive into a new gaming week with a fresh attitude and new offers at Casino Euro. The “Daily Deals” include bonuses and Free Spins on deposit as well as thrilling tournaments and random prize drops. Plus Live Casino enthusiasts can enjoy an exciting Sunday challenge to collect a special reward. 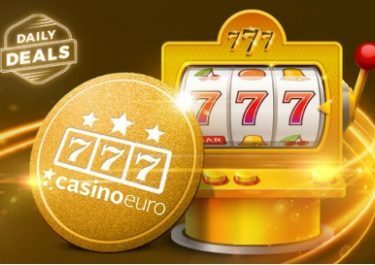 Get started this week with a 50% match bonus on your next deposit of minimum €10. 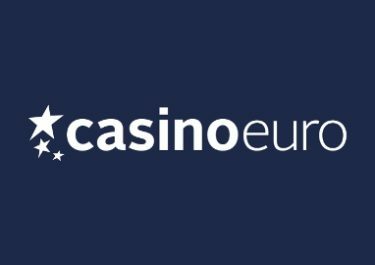 Monday, 12th March 2018: Reload Bonus – Deposit minimum €10 to receive a 50% deposit bonus, up to €15. Wagering requirement is 40x bonus within five days. Tuesday, 13th March 2018: Cash Giveaway – Spin actively with cash bets on Vikings Go Berzerk from 00:00 – 12:00 CET and from 12:01 – 23:59 CET to randomly trigger on any winning spin a treasure chest with prizes ranging from €10 – €500, instantly credited with no wagering requirements. An in-game tab displays remaining time and prizes. UK players are not eligible for the giveaway. Wednesday, 14th March 2018: Lucky Spin – Enjoy 1 Free Spin on Book of Dead, no deposit needed. The TOP3 scoring the highest wins from the spin will be rewarded with cash prizes: 1st – €1,000 | 2nd – €250 | 3rd – €100, credited with no wagering requirement by 15:00 CET on Thursday. Thursday, 15th March 2018: Prize Drop – Spin actively on Viking Runecraft and you could randomly trigger a prize drop. Available prizes are 5x Bose Headphones QC35 II and 50x €25 bonus money, credited by 15:00 CET the following day with a 20x wagering requirement. A cash alternative of €150 is available for the Bose Headphones. An in-game tab displays remaining time and prizes. Friday, 16th March 2018: Free Spins – Deposit minimum €15 in a single amount to instantly receive 30 Free Spins on Secret of the Stones. WR is 15x FS winnings within five days. Saturday, 17th March 2018: Goodie Bag – Deposit €30 in a single amount to instantly receive 20 | 20 Free Spins on Finn and the Swirly Spin™ | Leprechaun Goes To Hell. Wagering requirement is 15x FS winnings within five days. 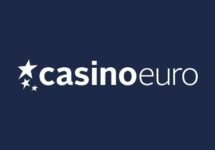 Sunday, 18th March 2018: Live Casino Win Boost – Play on any Live Roulette or Live Blackjack table from Evolution Gaming and get a 20% boost on your winnings. Minimum is €5, up to €100, credited with no wagering requirements by 17:00 CET on Monday.